Hilary Salt is a Founder of First Actuarial LLP and combines national executive responsibilities in the business with running the Manchester office. Hilary provides funding advice to pension scheme trustees and employers. She also works with trade unions assisting in negotiations on pensions issues. 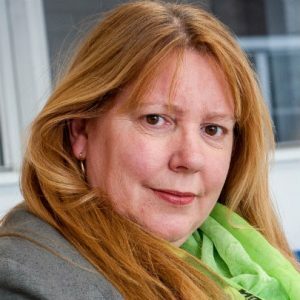 She has worked extensively with the Communication Workers Union devising the ground-breaking CDC proposal which ended their dispute with Royal Mail. She has also advised UCU on alternative approaches to the valuation of the Universities Superannuation Scheme (USS). Hilary provides policy advice to a number of organisations and is the independent actuarial adviser to the NHS Pension Scheme’s Scheme Advisory Board. She is a member of the council of the Institute and Faculty of Actuaries. Hilary has two grown up sons, a lovingly tended garden, a VW campervan and a season ticket to Old Trafford.